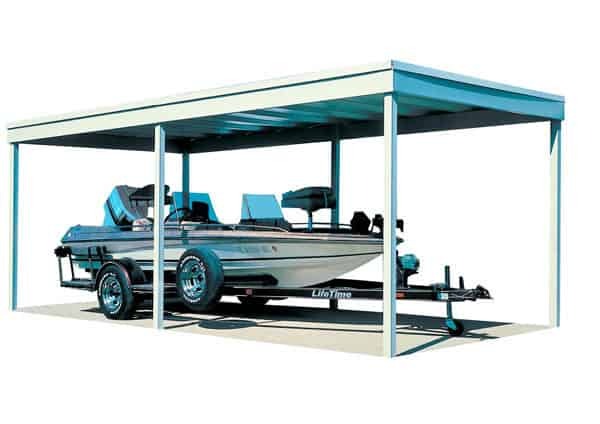 The Arrow Free Standing Car Port is a great solution for those in warmer climates who would like somewhere that’s more… connected with nature. On a nice day, sometimes its only shade that you really require, and the car port provides that, allowing you to enjoy the outdoors. It is also available in a lean to version. 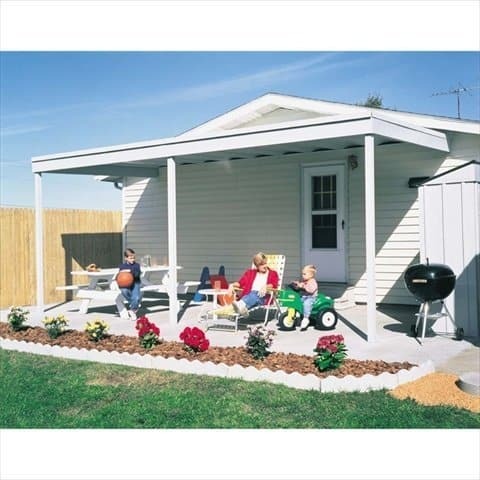 The vinyl coated, electro-galvanized steel keeps the carport rust and corrosion free in the toughest of conditions. This means your shelter will look great for years to come and not wear, fade or rot. Assembly is relatively simple. The parts are pre-cut, pre-drilled and are labelled for easy identification and construction. However, putting on the roof panels is a two man job and can be quite tedious. Another part we didn’t like was that like all Arrow products everything is extra. This includes the foundation you wish to use, and also guttering if you require it. However, details of how to secure the carport to a foundation and information about guttering are available in the instruction manual available online. Apart from a car, boat or caravan this shed is not for storing your items. But for someone who requires some outdoor space out of the weather then this car port is an economical and durable solution.